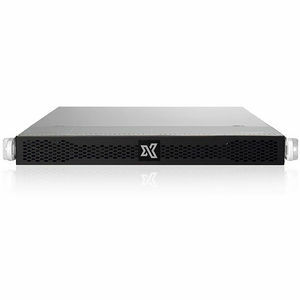 The TensorEX TS1-1595769-DPN is a 1U rack mountable Deep Learning NVIDIA GPU server supporting 2x Intel Xeon E5-2600 v3/v4 processors, a maximum of 1 TB DDR4 memory, and four Tesla V100 Volta GPUs (SXM2), with up to 150GB/s NVLINK 2.0 GPU-GPU interconnect. GPUs have provided groundbreaking performance to accelerate deep learning research with thousands of computational cores and up to 100x application throughput when compared to CPUs alone. Exxact has developed the Deep Learning DevBox, featuring NVIDIA GPU technology coupled with state-of-the-art 150GB/s NVLINK 2.0 GPU-GPU interconnect technology, and a full pre-installed suite of the leading deep learning software, for developers to get a jump-start on deep learning research with the best tools that money can buy.